As the years take their toll on my skin, I'm always on the look out for promising skin products that repairs skin damages and those that have anti-aging properties. 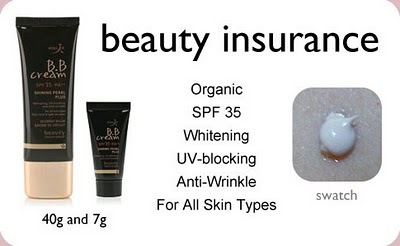 I would love to try the KoreaHyalin's Beauty Insurance BB Cream from the Krazy/Beautiful store. It is organic, UV-blocking, anti-wrinkling and has a high SPF content. 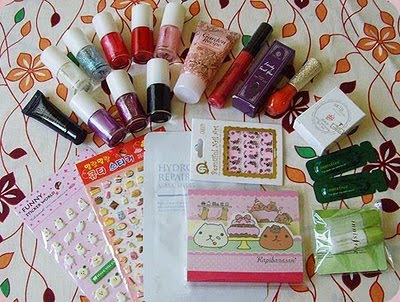 Do check out other Korean products from the said Korean Beauty Shoppe. You might find a Korean product that might interest you. 1) Blog about this contest and answer the following question: "What Korean beauty product are you interested in trying out from the Krazy/Beautiful store?" 3) Drop a comment below with the URL of your entry and your Email Address. love it and I will try it..